Olive oil tasting activity will bring you to the olive farm and see how local people make olive oil. Then you can bring home some bottles of the best olive oil in the world. Book our olive oil tasting activity to see and taste one of the best olive oil products in the world. Olive oil in this region possesses various important prizes and recognition. Most of the times the groves are family owned and the olive oil pressing process takes place in small community mills. 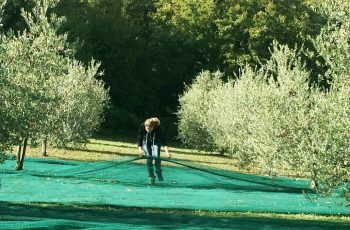 The olive harvest and pressing is a big community event in Umbria. Local people and family members get together and have a lot of fun with olive harvest and olive oil making. Our local community mill offers the possibility to participate in such extraordinary activities by joining the harvest in the morning. After the harvest comes the pressing and tasting in the afternoon. Participants will learn a lot about our extraordinary product from cultivation to final product processing. The fresh olive oil will immediately attract you with its natural fragrance and scent. We will enjoy the fresh olive oil taste with some bruschetta cheese and other delicacies in the autumn sunshine. These activities take place only in October and November.